The path to finding a therapeutic antibody that leads to significant medical improvements is often complicated, long, and costly. Many criteria have to be taken into account in order to begin the production of monoclonal antibodies (mAbs). However, it is still possible to optimize the chances of an antibody drug to reach the market by anticipating the potential challenges at every stage of the drug discovery process. The binding affinity of an antibody depends on how well the antigen fits the variable region of the antibody. This can be estimated thanks to KD affinity measurement: the lower the value, the higher the affinity. A high affinity increases the binding success but can also lead to binding site barrier effects: as affinity increases, tumor penetration decreases. It is important to reach an optimal affinity, which can be obtained through an affinity maturation process. To proceed, mutations of the unstable hot spots of the complementarity determining regions (CDR) within the variable fragment of the antibody are induced, until the optimal affinity is reached. A large number of variants with different affinities are usually tested to define an optimal binding that will partially determine the drug potency. The specificity designates the fact that the antibody will only bind an epitope of the target of interest. This limits the risks of cross-reactions and side effects and enhances the yield efficiency of a treatment. The specificity of an antibody mostly relies on the quality of the antigen design strategy and of the hybridoma generation process. Sufficient access to the target is a mandatory step for the success of an antibody treatment and is conditioned by several factors such as aggregation or tissue penetration. As aggregation of antibodies is one of the major degradation pathways affecting their efficiency; some undergo mutations of specific amino acids in their variable region in order to prevent this phenomenon. In addition, more and more antibody fragments are being engineered. Because they are smaller than full antibodies, they are often more likely to cross membranes and barriers and penetrate tissues or reach difficult-to-access sites which could not be accessed by full length antibodies. Another way to ensure an antibody reaches its target is to design it as a bispecific antibody. The latter can bind, for example, at the same time as a membrane receptor to get the antibody inside the tissue, and then the antigen of interest. Antibodies can be engineered to have additional functions, making them more efficient. The increasing use of antibody-drug conjugates (ADC) is an example: this method combines the specificity of an antibody, with the high potency of drugs which could not be used as monotherapies. It is also possible to combine the effects of two antibodies into a single molecule, thanks to the generation of bispecific antibodies, as discussed previously. A mutation in the Fc can also modulate cytotoxic effector functions. These processes can lead to a better efficiency of a treatment. A possible hurdle to the use of some efficient antibodies can be their side effects, especially if they are toxic. Low antibody specificity can lead to this kind of complication, but toxicity can also result from the stimulation of an immune response against the antibodies, detected as foreign bodies. To limit this undesirable effect, antibodies are now mostly designed by fusing mouse variable regions to human constant regions, leading to less immunogenic chimeric antibodies and by grafting murine surface residues on human immunoglobulins to obtain humanized antibodies (>85% human germline homology). Thanks to progress being made in genetics, transgenic strains now even allow the development of fully human antibodies into animal hosts (mostly mice). They considerably decrease the potential side effects resulting from immunogenicity. 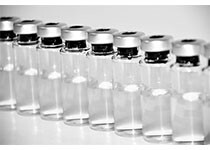 The expression yield is an important aspect of monoclonal antibody production, as it often affects both the time and cost of a drug development project and its potential to reach the market. Indeed, one of the major drawbacks of therapeutic antibodies is their price. Some biotherapeutic mAb development projects are even aborted because of low productivity that would imply an unbearable production cost. It is therefore important to optimize the mAb process in order to be able to produce them at a decent price. The recombinant production of antibodies globally has led to a significant increase in productivity. Codon optimization is a genetic method which can be used in the case of recombinant antibodies to increase their expression yields even more, by replacing some rare codons by more common ones in the mRNA and optimize its stability. The generation of a stable cell line based on the best performing CHO cell lines, medium, and bioreactor production protocols is also a determinant in the improvement of productivity. The efficiency of an antibody is conditioned by its ability to stay long enough within the body before being eliminated. An antibody having a high serum half-life requires a limited number of injections, and this characteristic has also major repercussions in terms of costs. To increase the serum half-life, several methods exist: it is possible to manipulate the Fc domain to increase the interactions with the neonatal Fc receptor (FcRn), known for improving the half-life. The addition of polyethylene glycol (PEGylation) on the Fab fragments can also result in an extended half-life. The delivery of a mAb drug is a serious issue to consider as it can affect the efficiency and the cost of the treatment. Currently, an intravenous route is commonly used, but despite its advantages in terms of pharmacokinetics and pharmacodynamics, it is often costly and can present some drawbacks in terms of patients’ convenience and target access, especially when the latter are located deep inside some organs. Studies are being conducted to overcome the barriers of using oral administration. A perfect therapeutic antibody is most of all a new molecule leading to a significant improvement in a medical or diagnosis field. This can result from the fact that this antibody is reaching a new target, the fact that its effect mechanism differs from existing antibodies, or simply because it provides significant advantages to an existing molecule, such as an improvement of its efficiency, a reduction of its costs, or a lowering of its side effects (me-better antibody). Over the last few years, it has become increasingly possible to design any kind of antibody by combining different fragments, following the principle of building blocks. This opens up new avenues for highly specific, customized, and efficient therapeutic antibody generation.